IPL 2018 KXIP vs DD live streaming is available on official broadcasters – Hotstar and Jio. 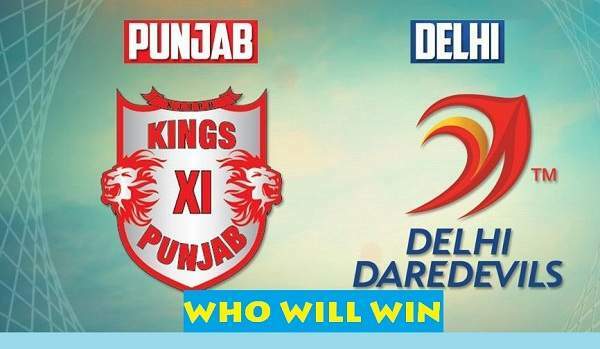 You can (Kings XI Punjab vs Delhi Daredevils) watch live cricket match today online on official stream portals. The telecast will be provided by Star Sports network on its television channels. It’s the 22nd game and there will be a total of 60 matches to be played in Indian Premier League season 11. As of now, Daredevils and Kings XI have reached to this match after playing 5 games each. But, Punjab stands at #2 with 8 points in the IPL points table 2018 while Delhi lags at the last spot with just 2 points. Today’s IPL t20 match of DD vs KXIP will start at 8 pm IST on Monday, April 23, 2018. The toss has taken place at 7:30 pm IST and Delhi has chosen to bowl first. The Punjab side is carrying a winning momentum with being victorious in the last three matches played. Now, DD will be playing in front of the home crowd. The home ground should provide them extra support and the spectators will be hoping for the victory of their home team. DD has won only one game out of the five played so far in the tournament this season. Today’s match is scheduled to be played at the Feroz Shah Kotla stadium located in Delhi. Gautam Gambhir hasn’t really fired up to his potential. It’s a serious concern for the team as he’s the opener. The left hand batsmen will be leading his men against the opponents on the ground. The English audience can watch the game on TV channels like Star Sports 1 / HD and Star Sports Select 1 / HD. While, the Hindi viewers can switch to Star Sports 1 Hindi / HD. If you can’t access television due to some reason, then you can for online streaming option. Open up the Hotstar website or its app, Jio TV app, and AirTel Live Tv application. These are the official broadcasters and they may or maynot charge you for their service. KXIP has become a dominant force in the IPL 2018 with Chris Gayle and KL Rahul firing runs like bullets. Gambhir hasn’t been consistent this year as he used to do in the previous editions of the tournament.